505 Games and Kung Fu Factory released some new assets for the upcoming fighting game, Supremacy MMA, which features some of the goriest, no-holds-barred caged fighting…ever. The following trailer you’re about to see will make you cringe, it will make you cover your eyes and it will make you giggle like a little school girl, because this is one of the rare fighting games that doesn’t mind going across the line and giving gamers something that Capcom and Namco Bandai have avoided for generations on-end: make the fights realistic. But hey, don’t just read this post and make a snap judgment about the game, check out the video trailer below and see for yourself. I’m starting to think that maybe my descriptions above didn’t quite justify the trailer and how over-the-edge it is. One thing is for sure, Supremacy MMA is not your daddy’s wrestling or granddad’s boxing…this is more like, sleazy uncle, scrapped-the-tapes-from-an-illegal-backroom-in-Bangkok sort of MMA. You can also get an even closer look at the visuals and the fighters in the screenshots below. 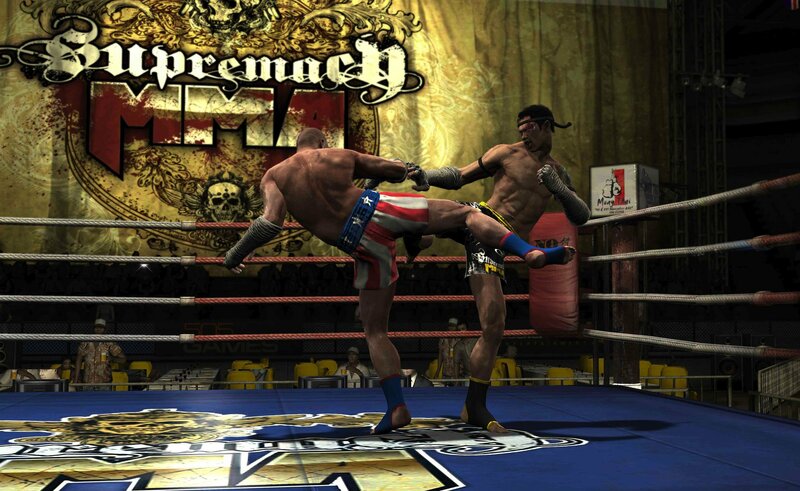 Supremacy MMA is due out September 23rd for the Xbox 360 and PS3, and it’s also the first and only M-rated mixed martial arts game to also feature female fighters. So, yeah…brutality is an equal opportunity experience in this game. Need more info? Head on over to the Official Website.